The latest adaptation of Agatha Christie’s acclaimed mystery novel features a cast of Hollywood’s finest, a beautiful set, and a deceitful message. Hollywood has lied to us before. Moviegoers are used to it by now, especially Christians who view films from a Biblical worldview. It does not make it any easier, however, when the lie comes in such pretty packaging. 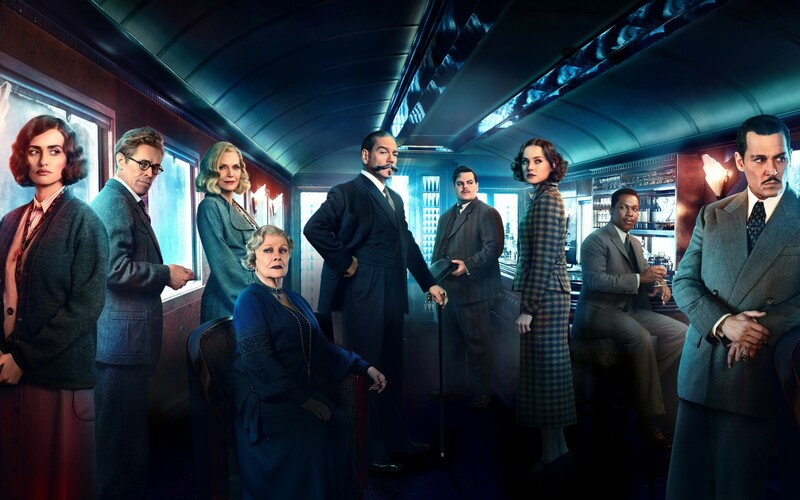 Murder on the Orient Express is based on the original story by mystery novel genius Agatha Christie. Directed by Kenneth Branagh, who has previously directed Thor (2011) and Cinderella (2015), the film stars Branagh in the title role of detective Hercule Poirot with a stellar cast including Johnny Depp, Michelle Pfeiffer, Willem Dafoe, Judy Dench, Daisy Ridley, Penelope Cruz, and several others, all playing the mysterious suspects in what is possibly Poirot’s most iconic case. And the case is one of murder – as the title reveals – murder on the prestigious Orient Express as it travels to Istanbul in 1934. When the train is stopped by a snowdrift during the night, the following morning finds one of the passengers brutally murdered. Stuck on the train with thirteen suspects, Poirot must solve the mystery of the murder before the killer decides to strike again. In the areas where the film succeeds, it does so with flourish. The production design is beautiful and inviting. Who wouldn’t want to ride a glittering train with a host of dapper characters, drinking tea and eating chocolates? The acting in the film is commendable across the board, especially since everyone but Poirot had so little to work with. Stand out performances come from Depp, Pfeiffer, and Ridley, who all add subtle or significant depth to their characters. But the best aspect of the film is the story – the mystery, to which all credit is due Agatha Christie. The mystery of the film is elegantly, artfully composed with one of the best twists in whodunit history. This unfortunately leads into the film’s failings, which hurt even more in comparison to Christie’s masterpiece of a puzzle. In the novel, the focus is primarily on the intricacy of the mystery: the unexplainable clues, the vast number of suspects, a confusion of time, and so forth. The film, however, suffers from a lack of focus, jumping back and forth between character development and the mystery, leaving us with little time to fully appreciate either one. And despite a resemblance to the films of classic Hollywood, Murder suffers from a lack of effective pacing, often dragging in some parts. But none of these can compare to the real murder of the film: the message. If you want to watch the film totally unaware of what happens, be warned. There are slight spoilers ahead. Otherwise, you can jump to the last paragraph. When Poirot finally solves the mystery, he discovers the motive was revenge, revenge on a man who had committed great evils in his life and ruined the lives of many others. When Poirot is faced with this realization, he lets the guilty party go free, believing he/she committed the murder in order to move on and heal. But what most of us know, and what Hollywood has ironically told us in other films, is that revenge will not satisfy. Those who seek out revenge will still be tormented by the past, even if they are successful in their vengeance. The film stays faithful to the book almost perfectly, diverging in this one substantial area. In the book, Poirot solves the case, but it is the director of the train who decides to let the guilty go free. In the film, Poirot has a change of heart and makes the decision himself. Thus, the film teaches that in some cases it’s okay to commit murder. That sometimes it’s necessary to enact revenge. And that is a very dangerous message indeed. Overall, this film can be described as beautiful but often boring. Still, if you’re a fan of murder mysteries or classic Hollywood, I would encourage you see the film. I had a good time watching it and an even better time reading the original novel, which I would also encourage. If you do decide to board the film that is Murder on the Orient Express, be warned that while it has a beautiful view, the ride is a bit bumpy, and its morals suffer from a murder most foul. Great that you would pick up on the revenge theme. “The myth of redemptive violence” (Walter Wink) shows up everywhere in movies, imitating American culture, politics and foreign policy. Revenge does not bring redemption. Excellent review! You articulated the thoughts of my wife and I when we couldn’t quite find the words. It is beautiful and enjoyable yet there was something off. The message is subtle but dark. I look forward to reading more reviews.